The Aspergillosis Trust is the patients group that aims to raise awareness of aspergillosis in the UK and throughout the world, and raise funds for the Fungal Infection Trust. 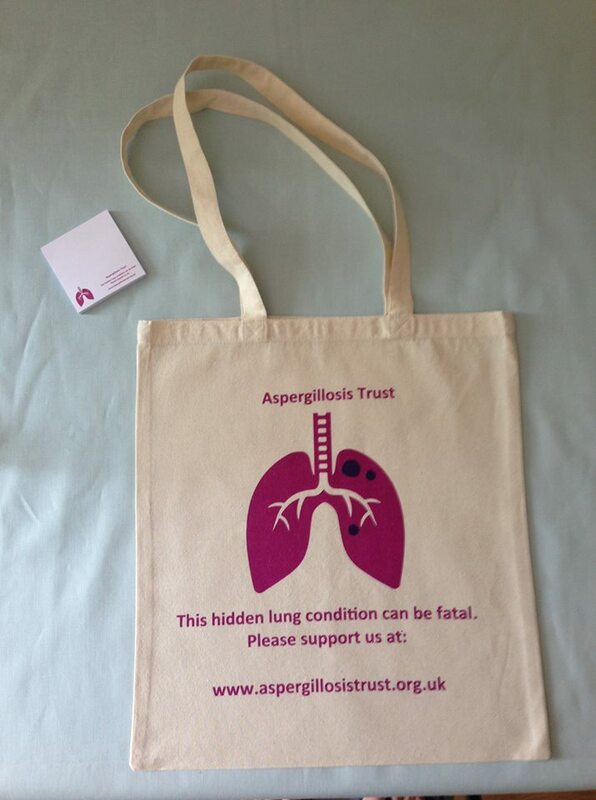 The Aspergillosis Trust is not a charity, as we are too small to register. Also as it is run by patients, we are not well enough to be actively involved in regular committee meetings and preparing charity accounts. So all the fundraising goes directly to the Fungal Infection Trust – a registered charity. We formed to try to raise awareness of Aspergillosis, as we know from our own experiences that generally only a few people have even heard of it. Some people only have limited knowledge about it. We are aware that there are many more people who have yet to get a fully correct diagnosis. Therefore they are not getting treated in a way that will help them the most. A typical example is someone who has had asthma since childhood that has steadily become worse over the years, despite more and more treatment for Asthma. Your doctor will often reach the point of trying everything they know to help, but with no impact upon your illness. This can affect people at any age. 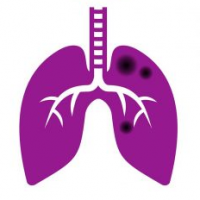 Other examples can be people who have had TB or who smoke and have Chronic Obstructive Pulmonary Disease (COPD). Aspergillosis is incurable and debilitating, but manageable with the right treatment. The Fungal Infection Trust (FIT) has been supporting research and awareness of aspergillosis since 1991. One way you can help us fight aspergillosis is by donating funds to FIT. 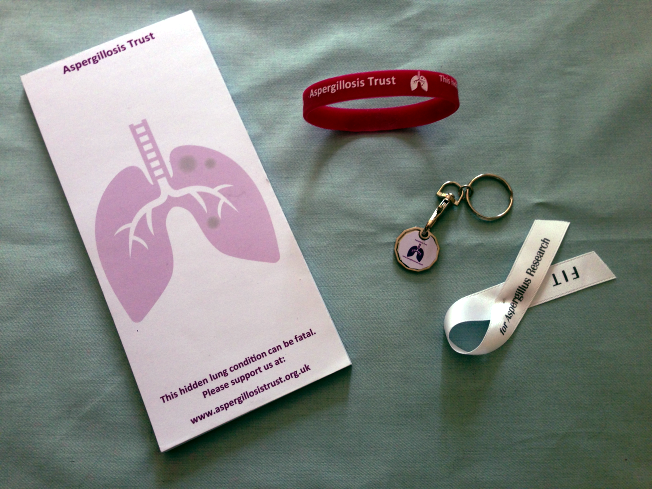 The Aspergillosis Trust has designed a variety of items that can help us all increase awareness of aspergillosis – some examples are shown below. They are all branded with the Trust’s name and website address. So please use them in everyday life. Even wearing something as small as a wristband whenever you go out will help. Alternatively, please distribute the items as widely as possible. 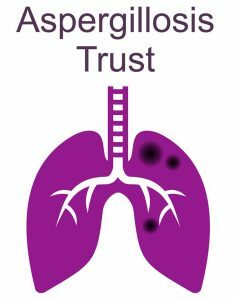 Then more people will get to hear about Aspergillosis Trust and become familiar with its logo and aims. 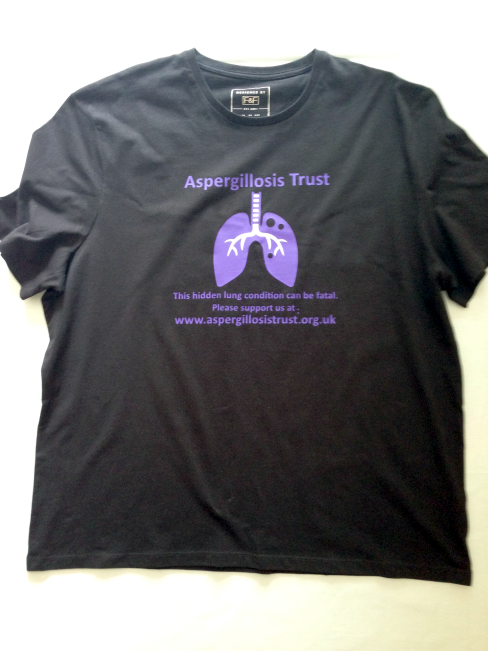 Please go to the Aspergillosis Trust Website to purchase items. How do I… cope with shopping?